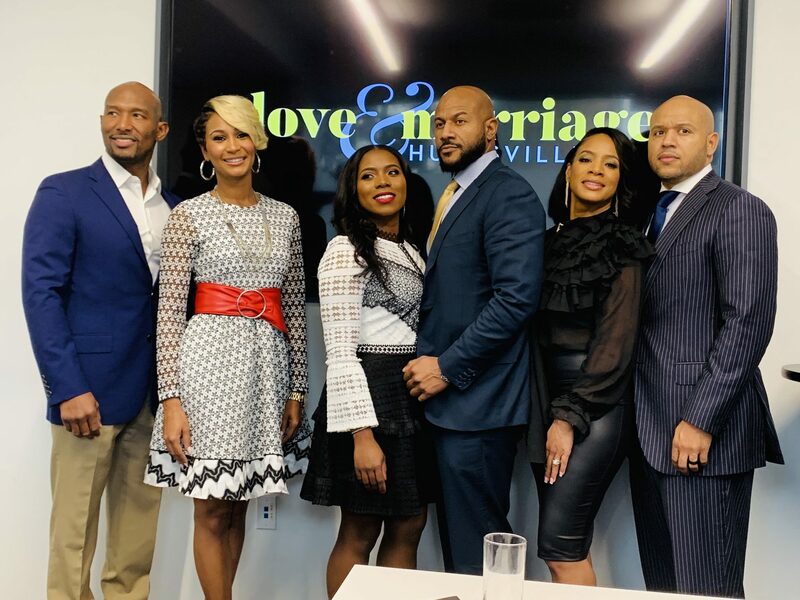 A few friends in Huntsville, Alabama decided to partner up and start the “Come Back Group” a few years ago, took a break and now with the release of their new hit show, “Love and Marriage”, on the OWN network; the “Come Back Group” is back at it. That’s right Melody and Martell Holt, Marsau and LaTisha Scott, and Maurice and Kimmi Scott are kicking butts and taking names. The dynamic trio couples are getting together and rebuilding certain areas in Alabama all while juggling marriage and parenthood. In the first few episodes of the show, you see the couples discuss their businesses and traits and why they feel like doing good in the community is important to them and of course; love and marriage. It’s not just about business, you also get a glimpse in to what it’s like to have trust issues, as well as who wears the pants in the home with one couple in particular. Right from the start we see infidelity issues with Melody and Martell Holt snd how those issues have caused a strain on their relationship and partnership as they work do closely together. We find that even a “picture perfect” life, as one of the ladies references of her marriage, can come with some insecurities. Marsau and LaTisha have been married 12 years and they are the seasoned marital vets! LaTisha decides very early on in the show that she wants re- enter the workforce and from what it seems, her husband Marsau isn’t having it. Maurice and Kimmi (Grant) Scott are seen preparing for their upcoming nuptials and juggling the blended family life. The trio ladies sat down with me for Kontrol Magazine to discuss the show and of course marriage. Q: What made you guys get involved with this project? Melody: We had been talking about it for years. Huntsville is growing and business is growing. We were asked to do “Housewives”, but my husband said, “I want to keep my wife”. No shade to the housewives. We sent Carlos (King) a sizzle he liked it and it just kind of went from there. He asked if we had an assemble if friends so we got our friends together. We were at each other’s houses five or six times a week, so it was just natural for us to come together now here we are with a show on OWN(network). Q: What do you want the viewers to take away from the show about marriage? LaTisha: It’s about never giving up. You’re going to have trials and tribulations just don’t give up so soon…and it’s fun. To sit back with your husband at your 30 year anniversary and look at how far you’ve come. Kimmie: I would concur. For the most part you want people to be able to see real life stuff and know there are infidelities that happen, there are arguments that happen, there are disagreements that happen; but there are positive ways to get past it. Even in friendships. Melody: Whenever you get married, there aren’t a whole lot of people that share that wisdom with you. Like where are the older women that have that wisdom. Q: Who’s your go to person for your relationship issues? Kimmi: For me, I would go to my spouse. You have to be very selective who you talk to because when you have an argument and you’re heated, you can’t go to your friends they’re like “oh girl leave him” and then the next week it’s like “hey boo” and they’re looking at you like, “ Is she crazy”? I’m not quick to get other people involved. I will call my right circle of girlfriends, especially LaTisha because she’s been a”Scott” for 12 years so she must know what she’s doing. Melody: For me, it’s my mom, his mom and a few girlfriends. They’re not going to be all like “girl leave him”, they’re actually the ones calming me down. I appreciate that. The fact the hive support. Q: Any married couples you look up to? Melody: My pastor and First Lady because they’re a high profile couple and they know how to get through certain things. LaTisha: For me, it’s my aunt and uncle. I can remember as a little girl seeing my aunt went through with him and she hung in there and that’s important. Kimmie: (laughing) ah. I think we’re still new. We haven’t really reached that tenure where we have had to lean on someone like that. Come see us in season 4 and ask that question. Overall this is a dynamic cast bringing the love, marriage, fun and drama right out the gate! Sit back, watch and enjoy as we head to Alabama great deals, great meals, and a whole lot of love and marriage.